Basket weaving is a tradition that has roots in every culture, with centuries of handcrafted artistry to it. With 70s style continuing the gain traction, the tradition of having handmade baskets at home is having a huge resurgence, with everyone from Nate Berkus to Serena & Lily offering their own stylish storage baskets. Not only are baskets great for storing pieces during summer gatherings, but these multifunctional pieces can also double as stunning planters for every room in your home. Here are 8 of our favorite baskets handmade baskets. Hélène Lefeuvre baskets are perfect for adding a dose of color to your interior. The pieces are handwoven with bright neon plastic for a colorful and modern design. Two-tone Nipprig Baskets from IKEA are a perfect addition to any room. The simple, stylized design creates a unique statement piece. And these functional baskets are perfect for storing a number of items, like summer linens. Over-sized baskets like these from Owen and Hunter are a must for your decor. Use them to transport some of your favorite pieces of the summer to the backyard, beach or park. These stylish Sauda Baskets are handwoven in Uganda. The graphic pattern makes this an eye-catching storage solution. Kari Lonning creates handwoven, contemporary baskets made of artist dyed rattan reed, using watersafe, commercial fabric dyes. The result is a vessel form that is an absolute work of handwoven art. Handwoven Round Belly Baskets from Serena & Lily are handmade in Indonesia. 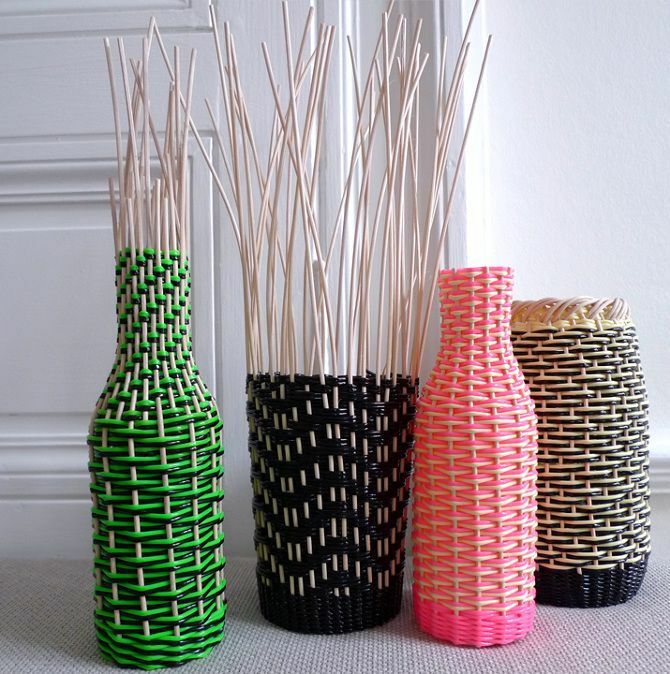 Mixing materials like seagrass and plastic, the baskets offer a unique visual contrast. The Water Hyacinth Basket from Nate Berkus is made of durable material. The baskets can be used to hold items like pillows and throws and makes a beautiful planter for large plants like palms and fiddle leaf figs. Colombian designer, Valentina Hoyos, works with traditional crafters to produce beautiful ecological and ethical home designs, like these stunning large-scale baskets. They would make perfect indoor or outdoor planters.